Pakachere is the perfect place for service learning, community outreach, nature appreciation, hiking and a fun time away from the classroom. We offer programmes for groups & schools, whether you want to come for 1 day only or stay for a couple of weeks. We can develop programmes with you for (long-term) community and conservation projects. We cater for all needs, all ages and are looking forward to welcoming you here at our beautiful lodge! We have a lot of local knowledge and a big network, and we are happy to work with you to tailor your perfect stay. 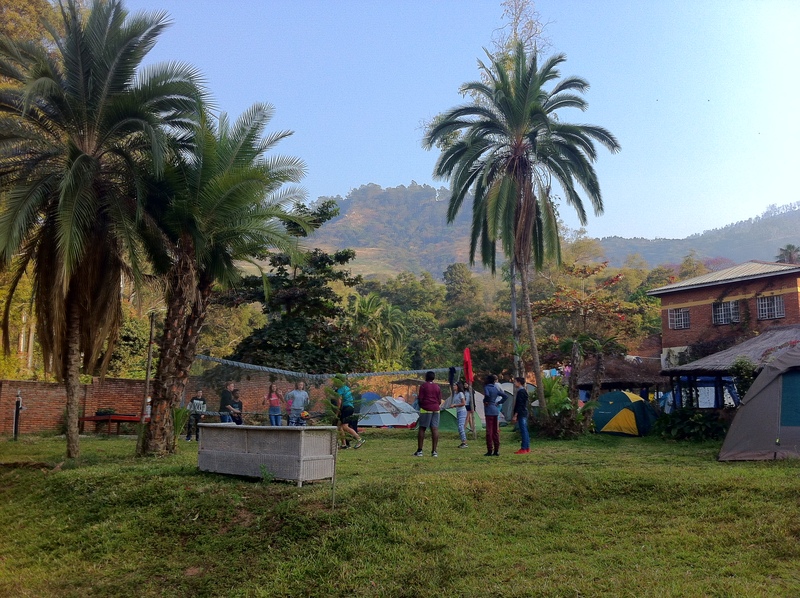 Pakachere Backpackers is an informal social meeting place, situated near the centre of Zomba and at he foot of Zomba Mountain. 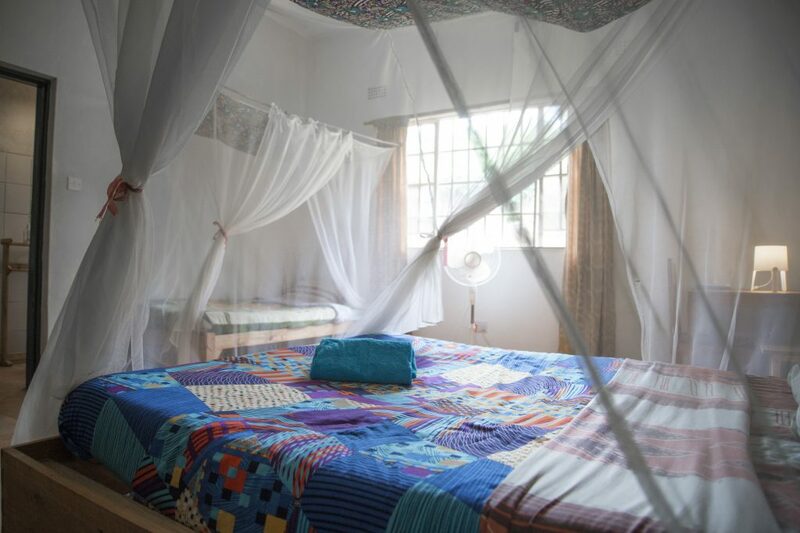 Pakachere has basic rooms; 3 dorms (total 19 beds in the dorms – we can make that 20 if required) and 2 private en-suite double rooms (1 extra single bed can be added). There is a lovely big garden with a volleyball net. There is a restaurant on site serving food between 6:45AM and 8PM. Jeroen Swinkels and Annelies de Bruine took over Pakachere end of 2017. Jeroen is biologist with a passion for conservation and a lot of experience working with student groups organising and leading field trips. He used to work in the Congo and in the Caribbean, currently lectures at Chancellor College (University of Malawi: ChanCo) and he does the finances for Pakachere. Annelies is social scientist with a degree in youth work, lecture international communication at ChanCo and works in event management. She is involved in organising Lake of Stars and at Pakachere she is responsible for marketing & events. Both have been university lecturers in The Netherlands before moving to Malawi in September 2015. 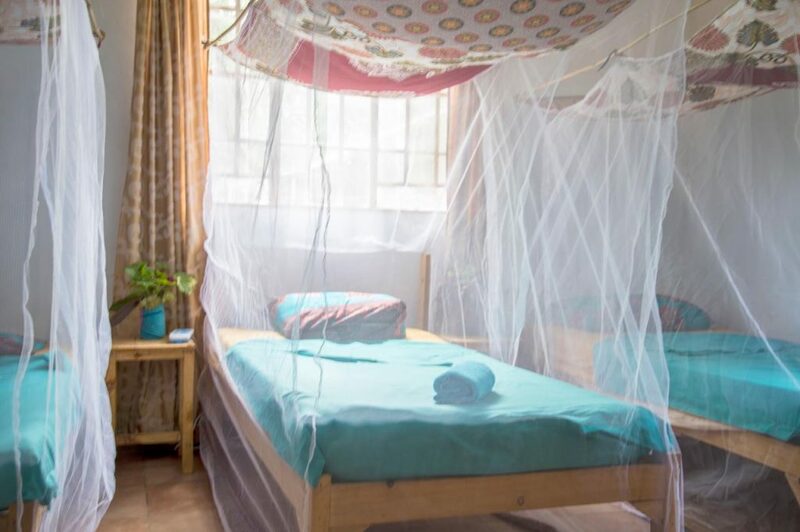 The couple run ‘Paka’ together with 16 local staff, ensuring you a pleasant and safe stay in Zomba and providing you with an educational fun programme. At Pakachere we understand that the safety of the (school) children comes first. Nothing is more important than child protection, and health & safety. It is impossible for us to avoid all dangers and it is up to the schools and/or the organising parties to do a risk assessment. We cannot guarantee that no-one will trip, fall or gets bitten by an insect, but we will do anything to avoid accidents from happening. We recommend bringing at least 1 teacher for every 10 students and we have guards on duty 24 hours per day. Service learning is a big part of our school programmes. We work with local organisations who are happy with support. The local organisations we work with have projects in micro-credits, IT, briquette making, women’s groups, children’s activities, and much more. One of core programmes includes conservation; like everywhere else in Malawi, Zomba Forest is suffering from deforestation. People cut trees on the mountain to sell or to use for wood to cook their nsima (the staple food, maize porridge) every day and they use wood for building. With a growing population, more trees need to be cut to feed the people. The combination of overpopulation and deforestation does the country no good. The lack of trees affects the rain, resulting in draught and flooding. 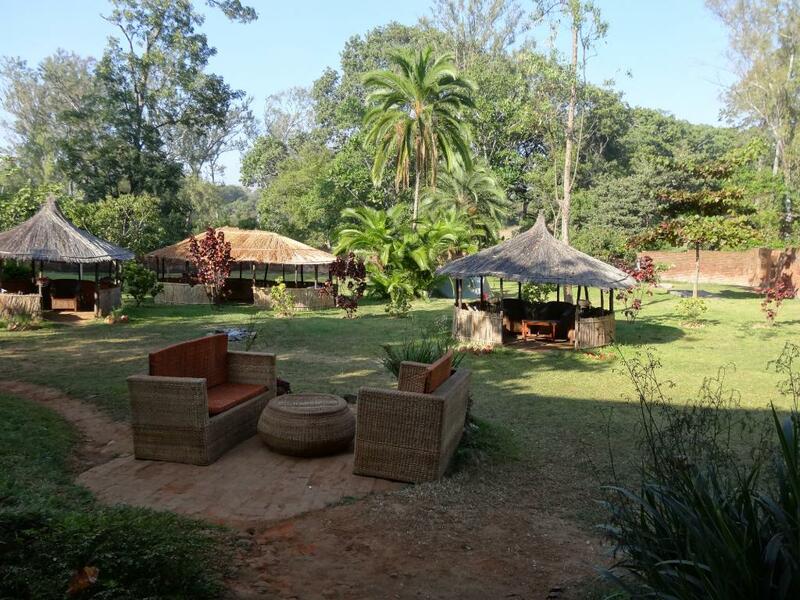 Pakachere supports the work of Zomba Forest Lodge to protect the trees on Zomba Plateau. We stimulate the use of sustainable cooking methods, like using briquettes made of paper, leaves and other waste, and using alternative cook stoves like the change-changu moto. Hike on Zomba Plateau: On the mountain there are trails for walks from 2 hrs to multiple days. The easiest hike is to the William’s Falls (2 hrs – transport up the mountain is needed) which can easily be extended to the viewpoints (4 hrs) and Chingwe’s Hole (8 hrs). 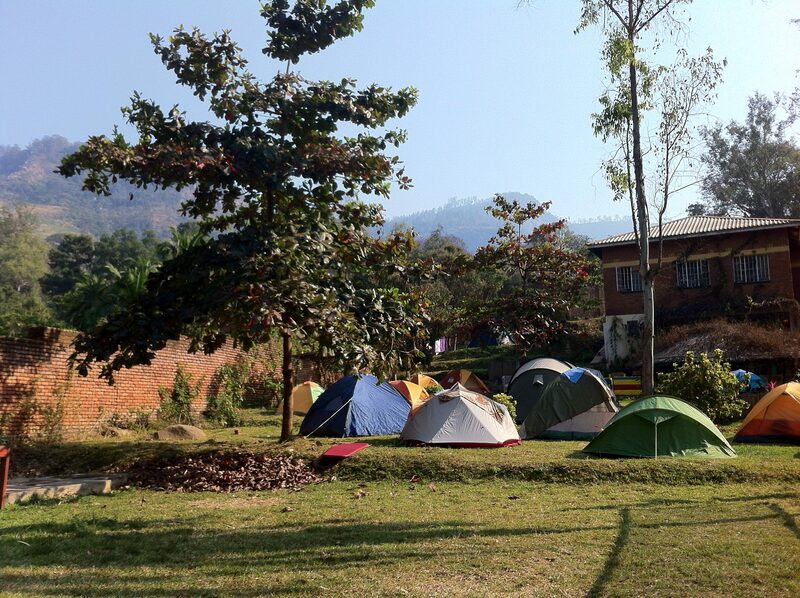 We also organise overnight trips with a night on the mountain. Briquette making: A fun and easy activity for all ages, teaching students about waste management, alternative fuel, environmental issues, and community work. Best done is smaller groups (4 to 8) and it takes approx. 1,5 hours. You should not be scared to get your hands dirty! Biology Walk: Walk around on the mountain or in Zomba’s Botanical Gardens with a biologist to learn about insects, bird, treess and any other wildlife. This is a popular activity. The best group size is 6 to 12 students; it takes 1 to 3 hours. We can split the group in two. Tree Planting: To maintain the mountain, it is necessary to plant lots of trees. If you come in the right season, you can help planting trees on the mountain. Workshops: We can organise various workshops for you; traditional dancing, African painting, Chichewa classes or cooking (including a visit to the market). Games and Quizzes: At Pakachere we have board games and lawn games that you can use free of charge. 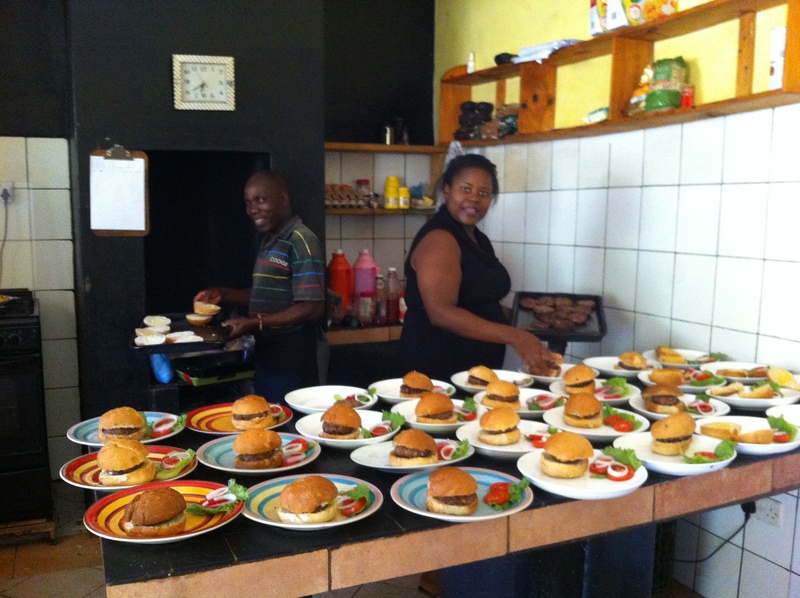 Community work: Pakachere can hook you up with local organisations In the regio to work in the community. We have a good link with Cape Maclear (on the beach!) for community outreach work as well. Horse Riding: Pakachere works together with the Plateau Stables for 30-60 minute riding on the mountain. They have 11 horses, so for more than 11 people the group has to be split. Trips to Liwonde or Cape Maclear: Liwonde National Park is only 1-1,5 hour away, the beach of Chembe (Cape Maclear) is approx 3,5-4 hours drive. It is also possible to stop for a 2-hrs boat safari in Liwonde on route to Cape Maclear. In Liwonde we work with Liwonde Safari Camp and in Cape Maclear we have partners too and many contacts for community & conservation work. Campfire: Our guards can light a fire at your accommodation for you at night. It gets dark at 6-6:30PM, so we can do it early if you want the group to sleep early. One guard will stay around to assure safety. Camping in our lovely big garden. At the moment there is 1 outdoor toilet; inside the lodge you find 3 toilets and 2 (warm) showers. We are in the process of building a new ablution block with toilets and showers outside. This is probably ready mid 2018. 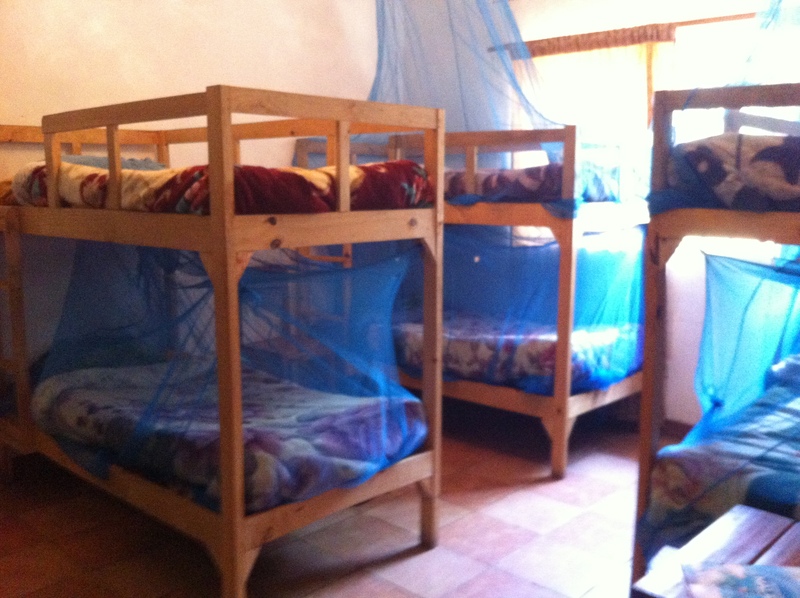 All beds have a mosquito net. To run our programmes, we will allocate staff and sometimes invite local people from the projects to join us. We kindly request a donation towards expenses. We will use the money to buy materials for the activities, pay transport allowance and/or buy lunch & a cold drink for our local partners. MWK 15,000 per person per day for 3 meals. We have good vegetarian & vegan options and can deal with most dietary requirements if you let us know in advance. We might struggle with people with severe nut allergies or coeliac disease, because we cannot guarantee there are no traces of nuts or gluten in our kitchen. 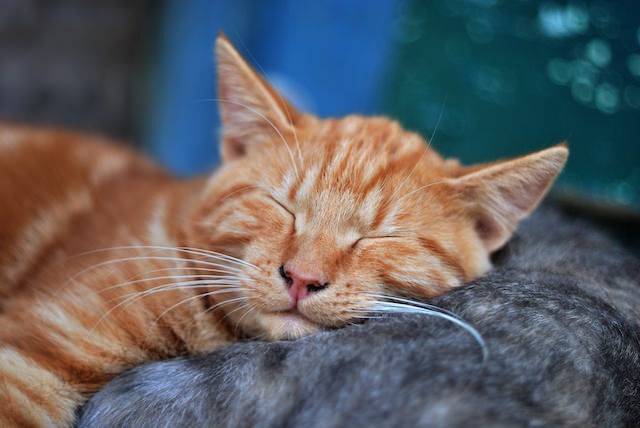 We can handle mild allergies and lactose intolerance. Our group menu can be downloaded here. Some possibilities. Breakfast: Cornflakes & milk, or eggs & toast (with or without baked beans), or pancakes & fruit served with coffee and/or tea. Dinner: Rice & curry (chicken/vegetable); spaghetti bolognese or napolitana; shepherds pie (meat/veg); barbecue or pizza. 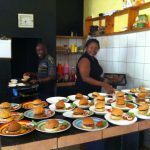 Self-catering: We currently do not have equipment if you want to cook yourself. We are looking at building an outdoor kitchen in 2019. Our experienced local guides can accompany you on a walk in town, the botanical gardens or a hike on the mountain. You can book a trip for 1,5 hours to 8 hours or even more days including camping on the mountain. 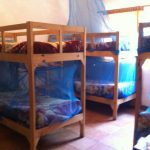 We also organise trips to other locations like Liwonde National Park, Mulanje, the tea plantations (with high tea if you want), Cape Maclear and much more. At Pakachere we offer dance workshops and painting workshops for groups. The dance workshop is MWK 60,000 for groups up to 24 people; the painting workshop is MWK 10,000 per person. Water bottle; water from the tap in Zomba is potable. For people who just arrived in the country, we do advice to buy bottled water. If you want to charge equipment, a solar charger because electricity is unreliable in Malawi. We have many power cuts and load shedding, which means most days we are without power for up to 10 hours. Wash bag with soap, shampoo, toothbrush, toothpaste, deodorant, etc. Even though you can buy everything here, so no panic if you forgot something. Some cash (dollars; most places only accept notes of 10 dollar or higher, printed after 2006) for drinks, snacks or souvenirs. There is a bank with cash point (ATM) 5 minutes walking from Pakachere. A warm top; t-shirts with long sleeves and long trousers also help against mosquitos. It can get cold at night in Zomba, because we are 700m above sea level and the mountain is 2,000m. Especially in June-July-August it gets chilly at night but still hot and sunny during the day. For girls, please bring trousers and/or skirts that cover your knees. When you go into a village, it is culturally not accepted to wear short skirts or trousers (of course, it is up to the girls if you want to oblige). You can buy a ‘chitenje’ at the market that you can sue to wrap around your waist like a skirt if you go to villages. This doesn’t mean you cannot bring anything from home to leave behind in Malawi, but we recommend giving it to an organisation that can assure you that your stuff will end up in the right hands. Especially (English) schoolbooks, and good quality second-hand clothes are most welcome! 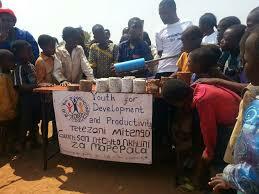 Notebooks, pens & pencils and balls can be bought in Malawi to stimulate the local economy. Please note that before we can accept your booking it is a mandatory requirement that you accept our Terms & Conditions Paka (groups). If you are the parent/guardian of a minor student, either you or the school will need to sign the Indemnity Form. 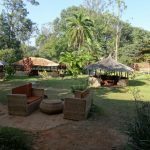 Pakachere Backpackers may cancel a trip due to logistical or operational issues, insufficient sign-ups or any other cause that makes the trip unfeasible for us to operate. At that time we will endeavour to find an alternative date for you. If we do not find an alternative for you that is acceptable, you are entitled to a full refund and that will constitute full settlement. Circumstances beyond our control may also necessitate changes to our itineraries. In the case of Force Majeure (meaning a circumstance beyond Pakachere’s reasonable control including, but not limited to, war or threat of war, riot, civil strife, terrorist activity, industrial dispute, disease, industrial or nuclear disaster, adverse weather conditions, fire and strikes), Pakachere will not be liable for any delay, change or cancellation of trips. Luckily Malawi is a very safe country; it never had war or terrorist threats! The people of Malawi are incredibly friendly but please do bear in mind that you may need to be a little more conservative than at home and there are some strong religious communities. For example, during the day, women should take care to dress modestly and try not to wear short skirts or short shorts, or wear tops that are low cut. Men should not remove their shirts whilst in the city areas, and both parties should not use offensive language when in public. The use of abusive language and swearing is also very offensive within Malawi. Even in jest, or general conversation many people can be very offended. Outside Zomba in rural areas, girls should cover legs and shoulders so as not to offend local sensitivities. So we ask that you are sensitive to the local culture in this respect. There is very little violence, and any crime is petty, such as pick pocketing and small-scale theft. This is the Warm Heart of Africa! Choosing a programme appropriate to the physical abilities and interests of the group. Schools/organisations are responsible for their students being in sufficiently good health to participate on their trip. Providing Pakachere with correct information regarding dietary requirements, health and medical conditions of students. Respecting the laws and customs of Malawi. Following the leader’s directions in accordance with environmental guidelines and regulations. This includes abiding by Leave No Trace Environmental Ethics as instructed by the trip leader (do not give money or sweets to children; do not litter). Appreciating that in Malawi, level of service, local customs, etiquette, food, living standards and accommodation may differ from those in the your home country. In the villages especially the pace of life and service can differ significantly from other Westernised nations. Respecting the rights and privacy of other visitors of Pakachere. Any cause of danger, distress or annoyance to others will be acted upon. You may be asked to leave if Pakachere’s management feels that your continuing participation may prove detrimental to yourself or to the safety or well-being of other guests. Any expenses incurred from removal from a tour will be your responsibility. Malawi is generally a very safe country, but please do take care. Students should only be travelling outside of Pakachere (whether by foot or public transport) after permission of the teacher/trip leader and they should be careful. Students are not advised to travel out of Pakachere at night alone. NEVER walk alone on the golf course after dusk, always take a taxi, especially in town. There are reliable taxis that will pick you up from Pakachere, and this is the safest way of getting around independently in the evening. It is advised to always carry a head torch when traveling at night. Don’t forget to bring spare batteries and take your empty batteries back home please. 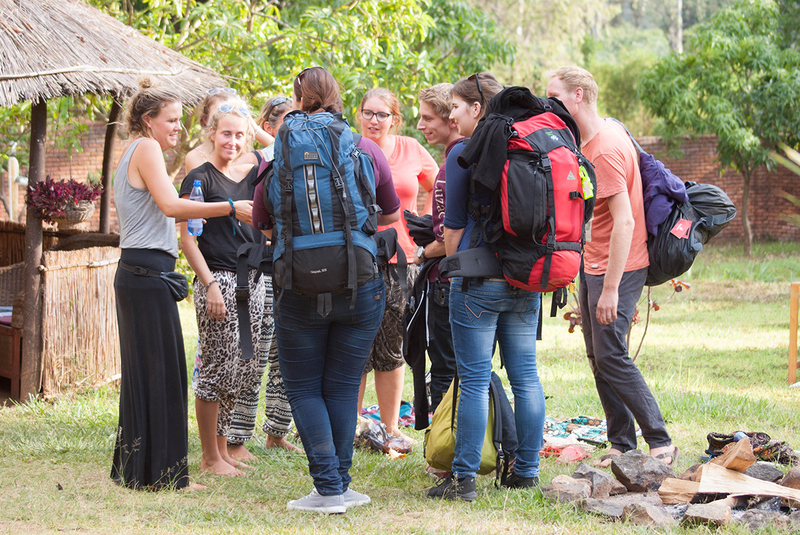 All trip leaders must bring a personal first aid kit, which includes enough supplies of personal prescription medications (including malarial prophylaxis), and items for day-to-day minor cuts, bruises and illnesses etc. Of course Pakachere has a first aid kit as well. Don’t forget that if dialing from an international phone you will need to enter the code +265 for all local Malawian numbers (and then remove the first 0). We ask all trip leaders to have a local mobile/cell phone out here to ensure we can all stay in touch. Please only dial these numbers if you cannot make contact with a member of the on-site staff using the emergency operations protocol outlined above. There will be a scout on duty 24 hours per day in your camp. This is a copy of the Indemnity Form, which you fill out when you arrive. That the general health of the school children is good and there is nothing which renders them unfit to undertake a trip to Pakachere. That our school/organisation is aware of the potential dangers of exposure to the sun – directly or indirectly and that serious sunburn may result from unprotected exposure. Contact details in case of emergencies. An ever-increasing growing human population puts great demands on Malawi’s natural resources. It is generally agreed that these resources need to be conserved. Respect local etiquette; try to be patient, friendly and sensitive. In Malawi tight fitting wear, shorts or skirts above the knee for women are insensitive to local feelings. Public displays of affection are seen as culturally inappropriate. You are of course free to give, wear and do what you want; the guidelines above are especially for travellers who wish to minimise negative impact. or mail groups@pakachere.com with your inquiry. 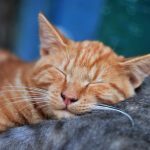 ACCOMMODATION: What kind of accommodation? Own tents or dorms/rooms? MIXED OR SEPARATE DORMS: How many are boys/men and girls/women? Can they share a room or should they sleep separate? PRE-ORDER: It is nice if groups can pre-order food, but it is not necessary. We will most probably ask you to place your order for lunch and/or dinner at breakfast and to choose breakfast before you go to bed. MEAL TIMES: What time do you want to eat? 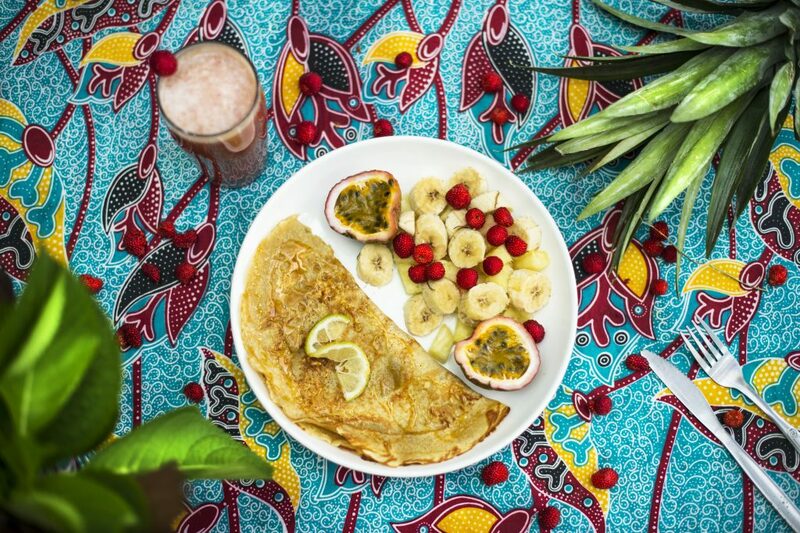 Breakfast is served from 6:45AM (earlier is possible on request) and dinner before 8PM. DIETS: We do cater for people with special dietary needs, but we cannot cater for people with severe nut allergies or for people with coeliac disease (strictly gluten-free). Mild nut & gluten allergies, lactose intolerance, vegetarians and vegans are no problem. People who want to eat gluten-free food are advised to bring some own ingredients like pasta and bread if they want to eat more than just cornflakes and rice. 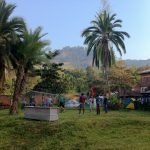 PROGRAMME: Do you want to book a hike on the mountain with our guide, a town tour with a visit to the botanical gardens, work at or visit a local community project, learn about deforestation and conservation, Chichewa classes or a dance or painting workshop? It is all possible! CONTACT: Please give your email address so we can confirm and leave a contact telephone number. TERMS & CONDITIONS: Please read this before booking! Your booking is confirmed after you have received a confirmation mail!